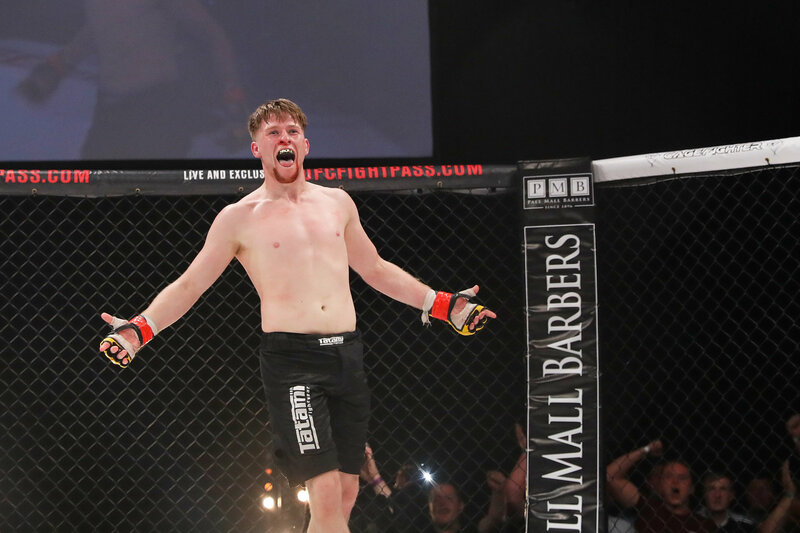 Cage Warriors have signed Jack Shore to a new 5-fight exclusive deal, two days before tickets for his bantamweight world title fight at CW97 go on sale. In a bid to retain the hottest fighting talent on the continent to the Cage Warriors roster, President Graham Boylan has announced that Shore will remain with Europe’s leading MMA promotion for a remaining 4 fights after his championship bout at Cardiff’s Ice Arena. 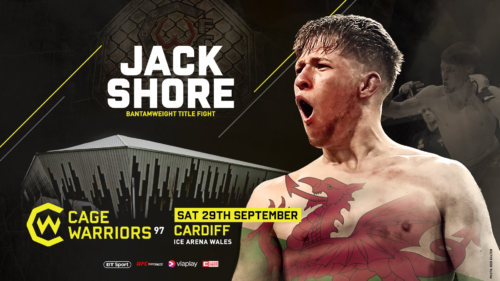 Still unbeaten in 12 amateur and 8 professional showings, Jack Shore is one of the most sought-after prospects in Europe and is soon to headline the biggest MMA card Wales has ever seen. Fans can expect much more from Shore under the Cage Warriors banner. Tickets for CW97 go on sale Friday, June 29th at 10am via cagewarriors.com, with 20% off for a limited number of early birds. The event is set to feature the top rising talent from Wales and across Europe, and is billed as the biggest MMA event in Welsh history. The title Shore hopes to raise for the home crowd at CW97 was formerly held by Welshman and now UFC bantamweight Brett Johns, who became champion during Cage Warriors’ last visit to Cardiff in 2013. Boylan recently likened Jack Shore’s rise in Wales to that of Conor McGregor in Dublin years ago, and hopes to develop Wales into a new and formidable hotspot for MMA. Cage Warriors have raised the game for CW97, establishing a new Welsh home for the promotion in Cardiff’s incredible Ice Arena. Filling the arena will be Jack Shore’s army – a following of thousands he’s built through hugely exciting performances since his amateur debut in 2012 – who he has promised will turn out in numbers like never before.